Thanks for the new thread! great title. I love that art... but Bonnie seriously doesn't ever want to leave that town? really? IKR! she'd be crazy not to. She sure would be. She should be wanting to run out of there as quickly as possible. 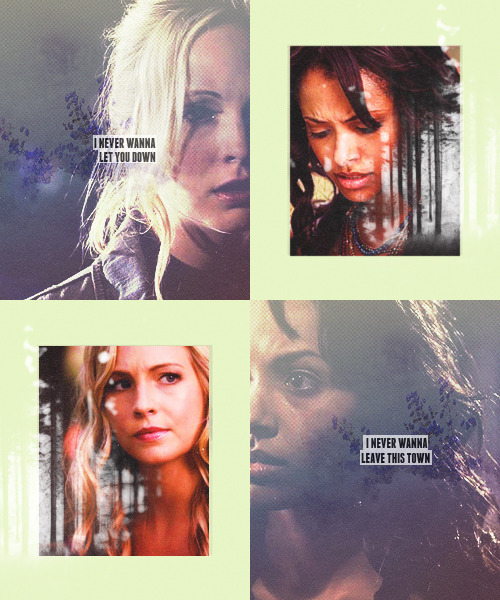 but it won't happen nor while Caroline/Elena are still there. Caroline should probably want to leave.... well not really. Yeah that won't be good for us. So true ... I think the only person who will probably stay in MF is Matt. But they should all leave this awful place. He does have the better life than everyone else but I'm not sure. When it comes to not being involved in the supernatural stuff, yes.